If you have a preschool aged child then you know that learning about numbers and counting isn’t as easy as it seems. There’s more to the process than just repeating numbers in order. 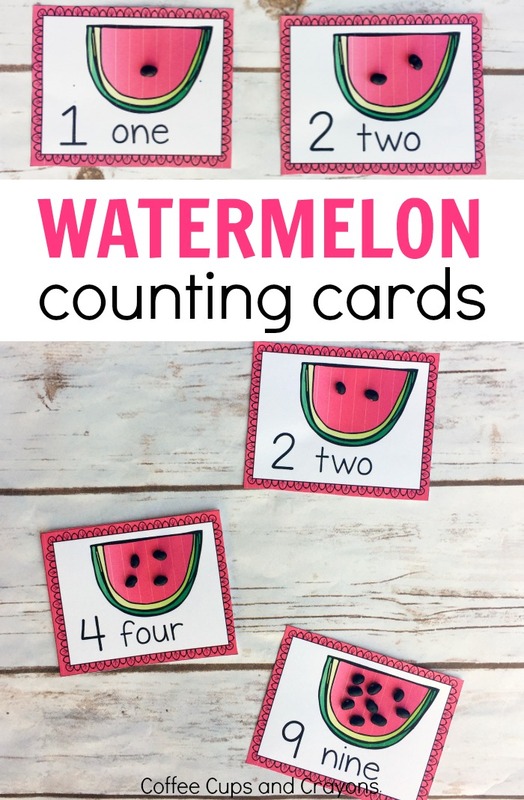 That’s why these printable watermelon counting cards are so great! When kids are using these cute counting cards they are developing number sense and working on number identification, one to one correspondence, counting and even fine motor skills. 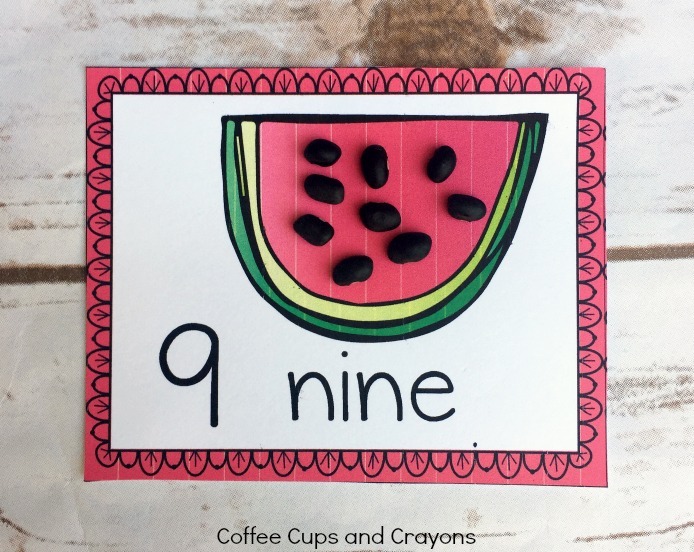 Throw the printable watermelon counting cards in a resealable bag with dry black beans and you have a fun counting busy bag your preschooler will love! These counting cards are great because you can print them once and use them for years! 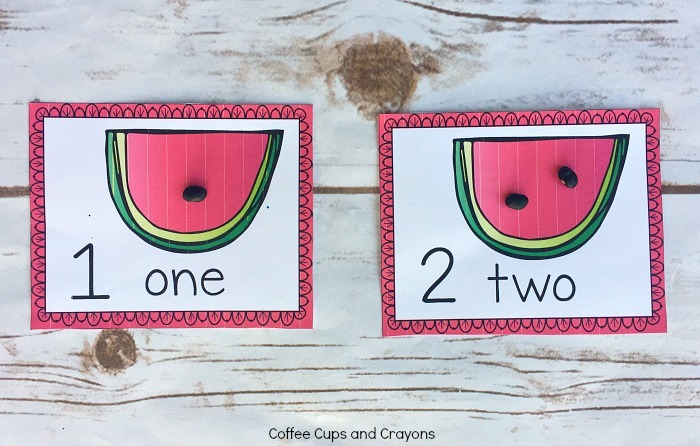 It is super easy to turn the printable watermelon counting cards into a fun preschool busy bag! 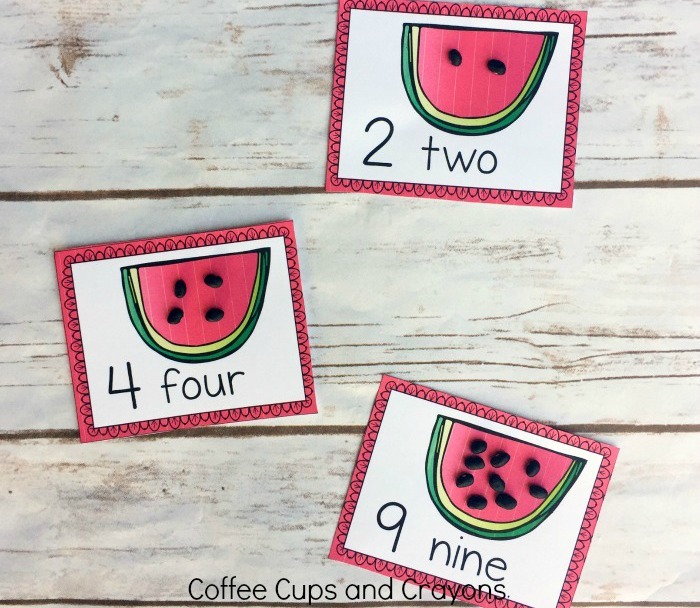 Print the Printable Watermelon Counting Cards on the card stock. Laminate the cards for durability. 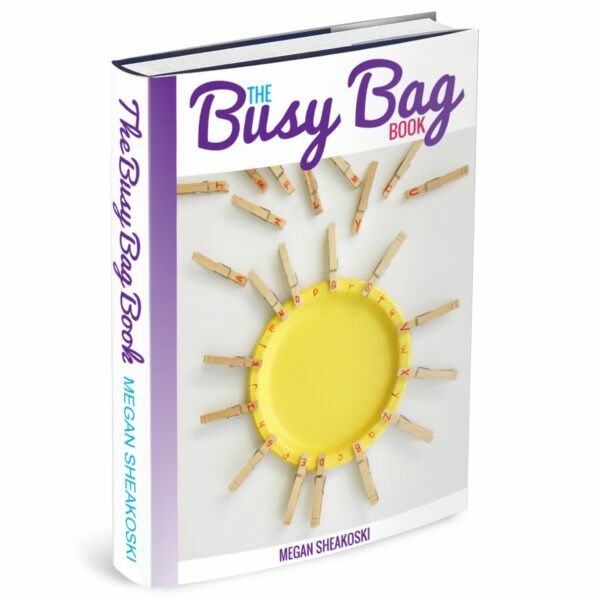 Place in a resealable plastic bag or pencil pouch. Add a small handful of dry black beans or buttons. Preschool kids can play by choosing a card and identifying the number on it. They can then count out the corresponding numbers of “seeds” (beans or buttons) to place on the watermelon slice. A lot of skills are being worked on at once with these counting cards so you may want to start by limiting the number of cards you put in the busy bag. You don’t want your child to feel frustrated, just challenged. You can add more as they as their learning progresses. Once your child gets good at using the watermelon counting cards don’t get rid of them! You can save them for addition and subtraction practice. They can choose two cards to add (or subtract) and use the “seeds” to help them check their work.